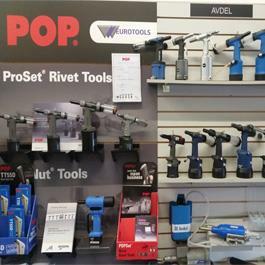 ​Eurotools have been suppling production tools nationwide for over 30 years. During this time we have gained an unrivalled depth of knowledge of the production tool industry. This has allowed us to develop our tool consultancy service, offering help and advice to customers to select the appropriate solution. Our aim is to work alongside our customer base to achieve cost savings, quality improvement and meet health and safety requirements. Tooling demonstrations are available in our purpose built showroom or we can arrange a visit to showcase the tooling and provide demonstrations in your working environment. 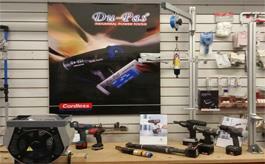 We have a fully equipped workshop with highly trained staff who are able to repair all makes of tooling. We only use original manufactured parts and all repairs carry a three month warranty for both the parts and the labour.